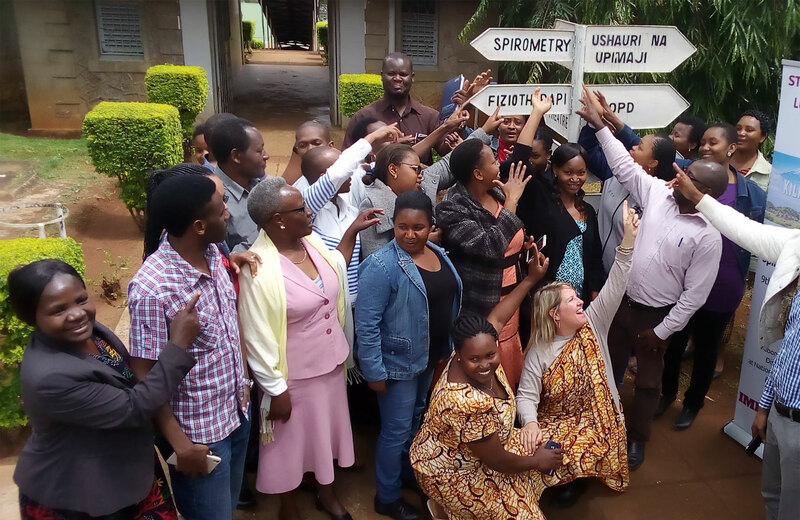 Spirometry is on the map at Kibong’oto National TB Hospital! 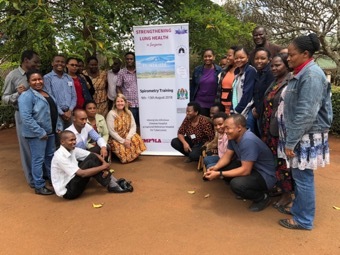 We are proud to report that the first spirometry training in clinical practice in Tanzania has been successfully completed at at Kibongóto Infectious Diseases Hospital (KIDH) in the lovely and peaceful area at the foot of the Kilimanjaro mountain. The training, hosted by Dr Stellah Mpagama and Dr Riziki Kisonga, was conducted not only for Stellah’s post-tuberculosis research study but also for general capacity building to improve quality of lung diseases management, particularly in patients suffering from lung diseases not related to TB. The training was conducted by the Pan African Thoracic Society (PATS) spirometry expert Lindsay Zurba and supported by the Lung Health across Life (LuLi) consortium, which is part of the larger IMPALA network, the International Multidisciplinary Programme to Address Lung Health & TB in Africa (IMPALA). Special thanks go to Stellah and Riziki for their hospitality and exceptional organisational skills. Thank you to each of the participants who gave of their best and we welcome you to the PATS family. We also acknowledge with grateful thanks Kevin Mortimer and the LuLi team for their constant collaboration and support. We are proud that our 5th successful IMPALA / LuLi / PATS spirometry training programme has been completed. Next stop Ghana!